You are the project manager and want to calculate TCPI based on EAC for your project. The data you have with you is BAC: $ 135,000, earned value for your project : $ 45,000, actual costs : $ 70,000 and EAC is $130,000. What is the TCPI that you will get from these values? Thanks Naresh, we will talk on this point during the session. We have yet to plan this... Since Uma recommended the topic... i am creating the separate thread for it... please share your queries related to Quality Management here... based on interest we will schedule the hangout. I can not map it to any PMBOK process... so i still map it to Control Procurement process. In Direct and Manage we do manage third party work also but we can not map it to Audit or Inspection process. so i still got with my process mapping i shared before. Since we keep eye on cost always... i suggest you read point no 20 as Monitor Time and Cost Reserve. with PMBOK5th Edition... Manage word is linked with Execution..
share the reference... point is not clear. Topic: Always High NPV we have to select as answer ? Re: Always High NPV we have to select as answer ? The smallest element which gives value to customer is User Story, not we need set of such elements before our user can consume it... and that set is the one which serves the minimum requirement of user value and that is why it is MMF. post some of the interesting questions on EVM here which we can discuss during hangout. not weak... mostly strong or in some cases balance... and yes i agree while taking exam... you should feel that you are the ultimate decision maker in the project ... and you have all power... until not specified differently in question. 1. If you have some historical data, PM can make use of it. 3. If possible PM can involve more than one person for this activity. Thanks for suggestion... we also need to manage time limit of one hour.... lets collect more ideas... and we close. Topic: Where can i see the eligibility criteria of PMI-ACP Exam? It should be on agile and relevant for PMI-ACP. Topic: This is regarding the Dependencies. Re: This is regarding the Dependencies. Topic: Where can i see the eligibility criteria of PMP Exam? 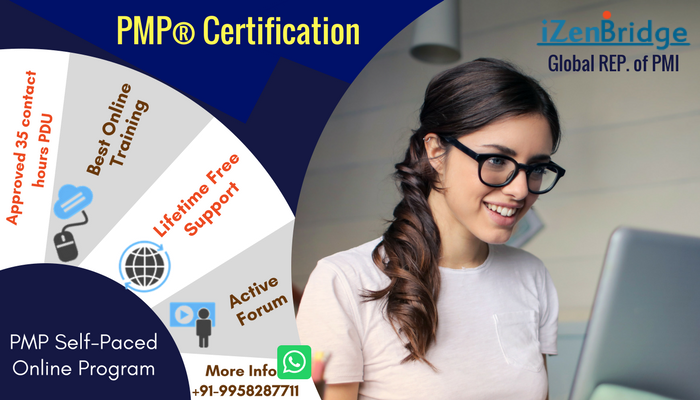 Re: Where can i see the eligibility criteria of PMP Exam? Topic: When to take Change Request to CCB? Re: When to take Change Request to CCB? When a stakeholder requests a change request the first thing the PM has to do is LOG it. After logging the CR next step is doing impact analysis . Once impact analysis is done and Change Request has all information include which can help CCB to make the desired decision , this CR goes to CCB. Topic: why Activity cost estimates is an input ? Re: why Activity cost estimates is an input ?